Alessandro Sorbello: Sorbello, A., & Karsaklian, E. (2016). Fun, Culture and Emotional Engagement Increases Sales: The Residual Effect of Italian Week in Australia. European Journal of Management, Volume 16(2), 113-126. Sorbello, A., & Karsaklian, E. (2016). Fun, Culture and Emotional Engagement Increases Sales: The Residual Effect of Italian Week in Australia. 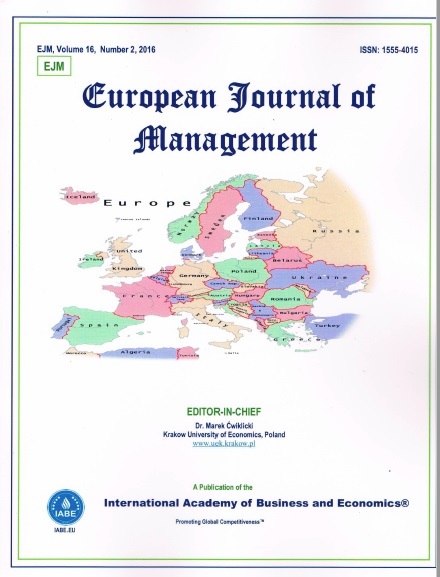 European Journal of Management, Volume 16(2), 113-126. The proliferation of Festivals around the world can be attributed to the fact that they are highly profitable in a short time. However, few measures have been taken about the residual effect of these events generated by the emotional engagement. In this research we outline a model for emotional engagement (The Emotional Engagement Model – TEEM) which provides a general framework to understand the impact of emotional engagement on both participants with high and low involvement in Italian culture. Our research studied the residual effect caused by emotional engagement in the Italian Week Festival in Australia through a qualitative study based on 32 semi-structured interviews which generated key factors leading to establish emotional engagement with Italian culture from which a structured questionnaire designed for an online survey with 282 respondents was conducted. Results indicate that Italian Week is able to generate emotional engagement which in turn enhances the residual effects on post-festival consumption behaviour.